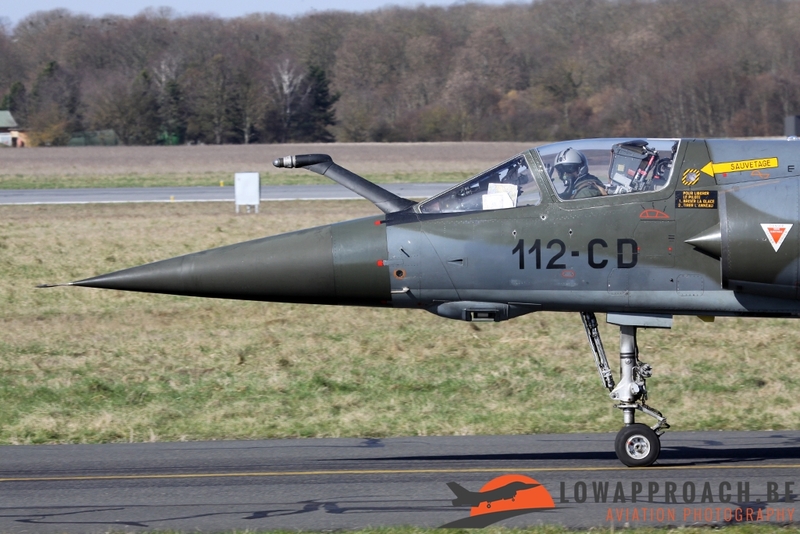 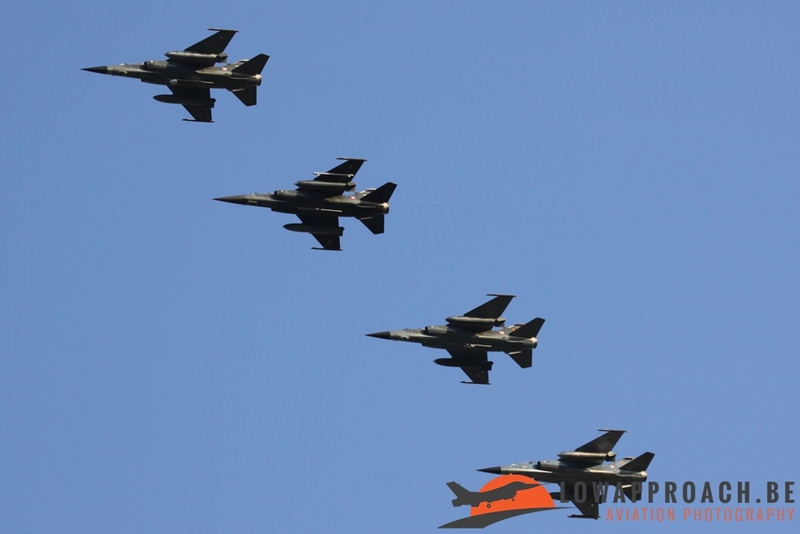 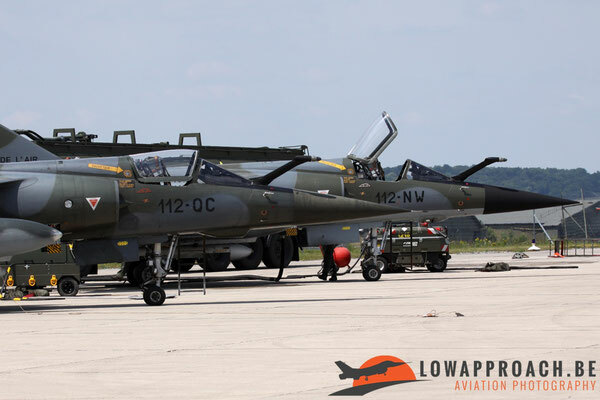 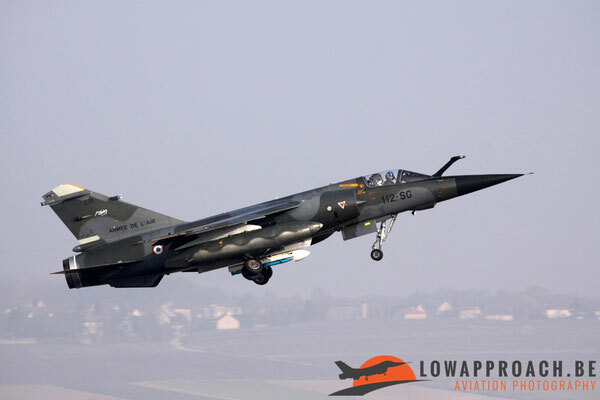 With the sale in 2017 of 63 demilitarized Mirage F-1B, CR and CT at the ATAC (Airborne Tactical Advantage Company) in the United States and 4 F-1B’s to the Paramount Group located in South Africa and one F-1B to the Air Force of Gabon the aged Mirage F-1’s, which were kept for some years in humidity controlled hangars at the BA 279 storage centre Châteaudun, gets shortly a well-deserved second life in the air. 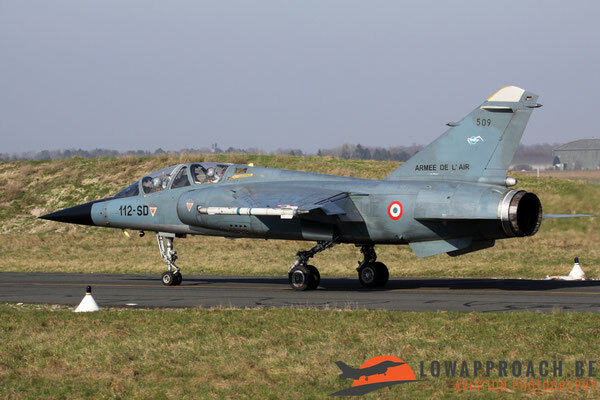 More than forty years after the first deliveries from the Mirage F-1 to the Armée de l’Air that had those years more than 250 F-1’s fighters in service it’s time to make an overview from the last years of these beautiful fighters. 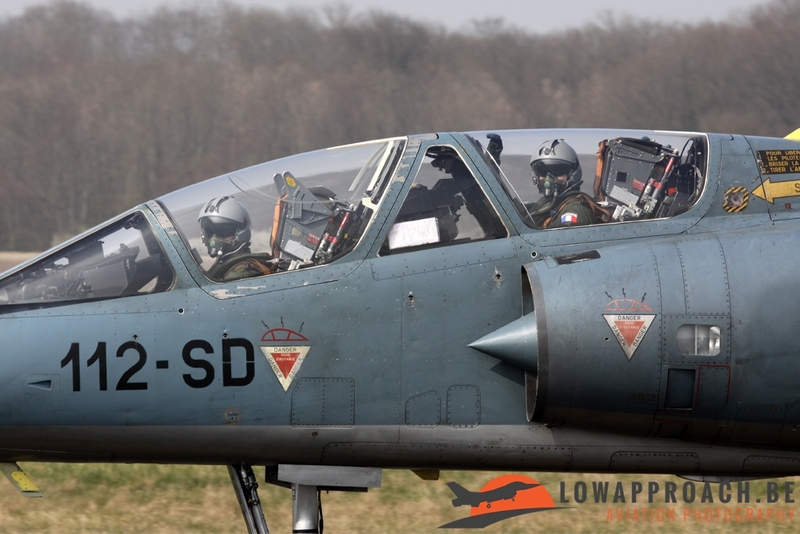 After the disbandment of Escadron de Chasse 01.030 Alsace in 2008 and Escadron de Chasse 02.30 Normandie Niémen in 2009 at BA 132 at Colmar-Meyenheim located in the east of France all the remaining Mirage F-1B (twin- seat trainer), F-1CR (modified version for tactical reconnaissance) and F-1CT (modified version for the ground attack) were concentrated on airbase BA 112 Reims-Champagne. 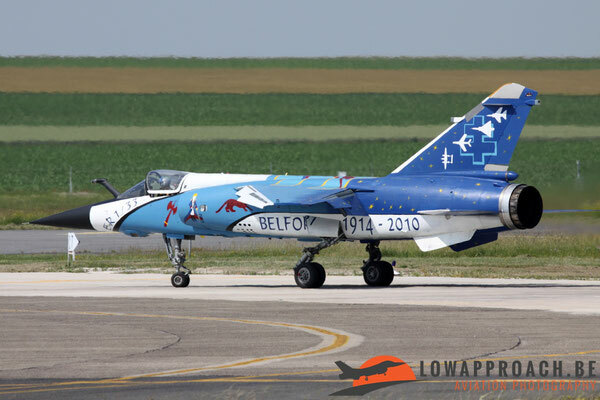 and Escadron de Reconnaissance 02.033 Savoie (escadrilles SAL 6 Mouette, BR 11 Cocotte de gueules and C 53 Fanion). 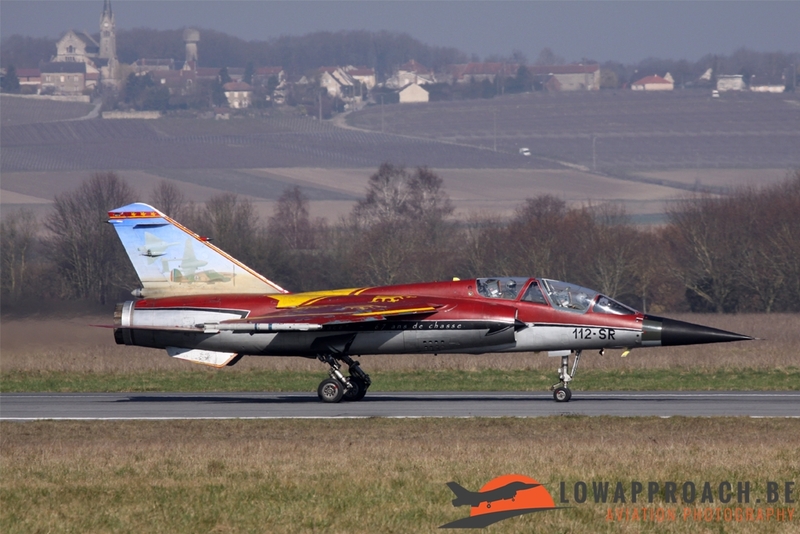 Even the awesome red coloured Mirage F-1B 112-SR 518 which in 2008 celebrated ‘Groupe Alsace - 67 years ans de chasse’ and is displayed nowadays at the Musée de l’Aviation at Lyon-Corbas flew its last hours at Reims-Champagne. 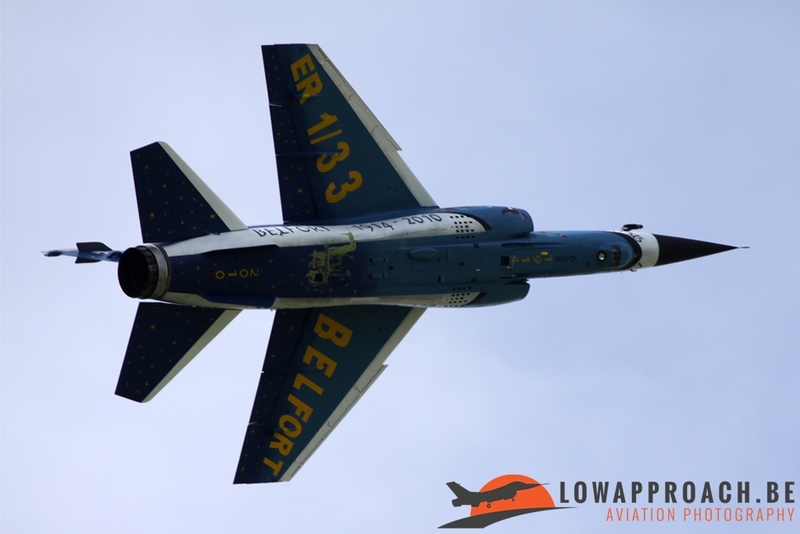 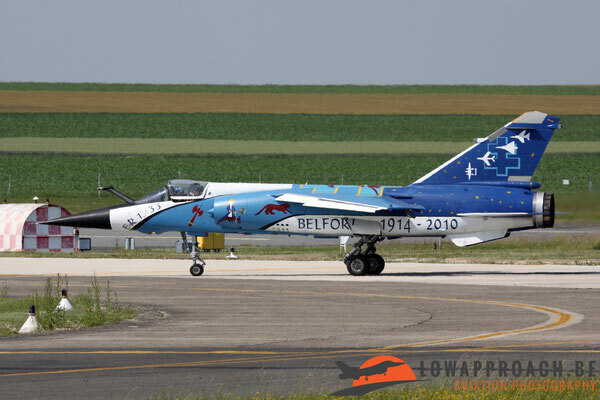 Two weeks before ER 01.033 Belfort was disbanded on June 26 2010 a special coloured Mirage F-1CR 628, with the code 112-NB that was added afterwards, could been seen for the first time in the sky. 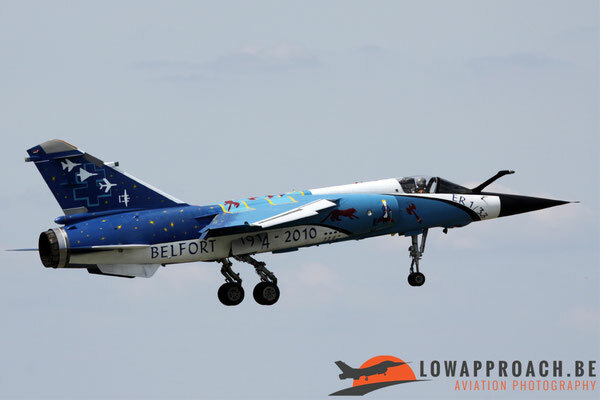 This colourful fighter was transferred some years later by road from Châteaudun to its new home at BA-709 Cognac-Châteaubernard where the Escadron de Drones 01.033 Belfort was reactivated again in September 2010 flying with the drones Harfang until January 2018 and that will be replaced by its US made successor the MQ-9 Reaper. 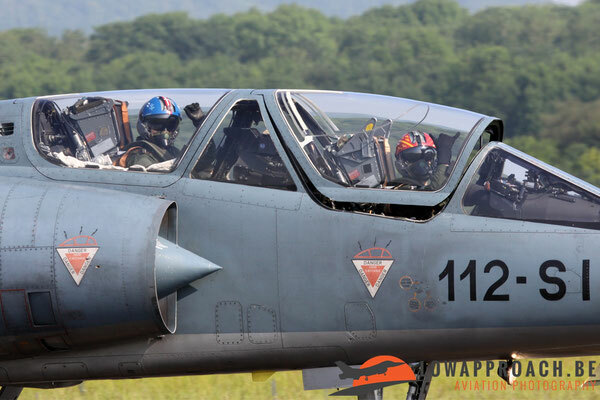 With only one operational Escadron the flying activity was radically reduced and some four months before ER 02.033 Savoie transferred their remaining aircrafts to Mont de Marsan during the summer of 2011 the old Mirages F-1CR and F-1CT proved to be very useful during Operation Harmattan, which started in March. Besides strikes with laser-guided bombs also air reconnaissance was done above Libya where vital intelligence was gathered with their Presto Stand-off recce pod and ASTAC pod fitted underneath the aircraft. 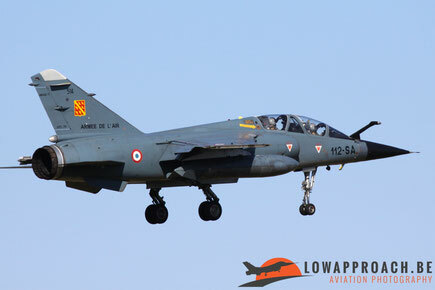 In this period those old F-1CR and F-1CT achieved 399 sorties which resulted in 1729 flying hours above the battlefield. During the last years, spotting at Reims-Champagne airbase became very relaxed, with only ID checks by the friendly gendarmes. 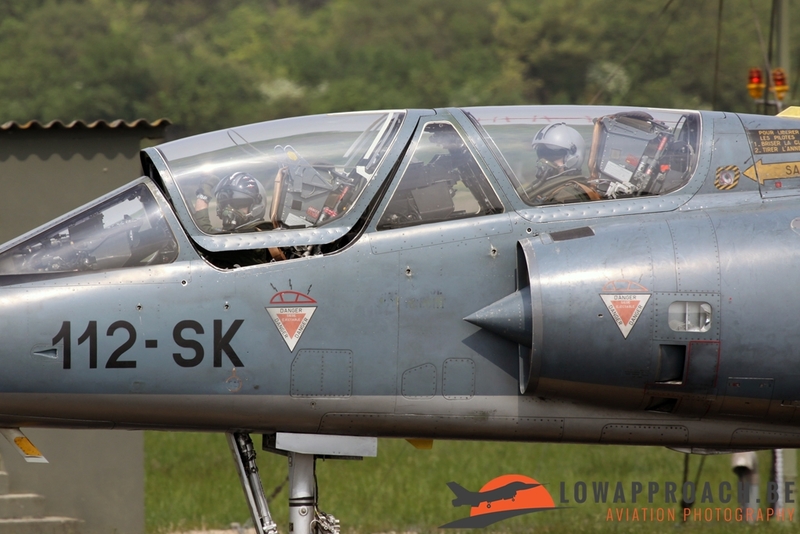 Also many friendly pilots saluted the spotters and other aircraft enthusiasts frequently as they played with their speed brakes by opening and closing them when they were taxiing along the taxiway nearby the old civil terminal. 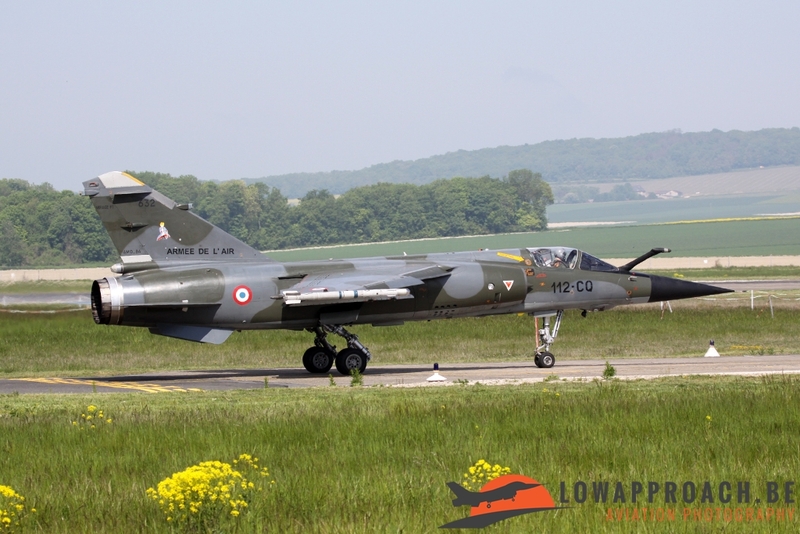 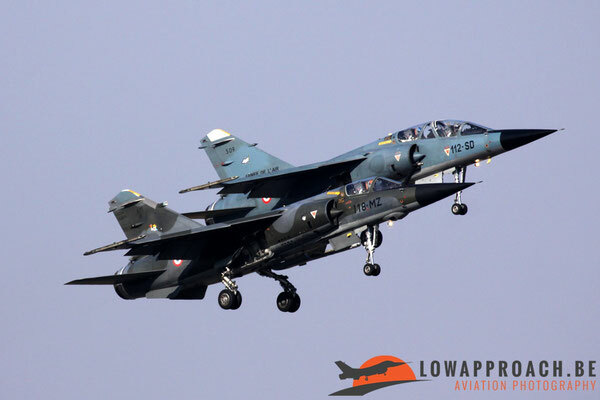 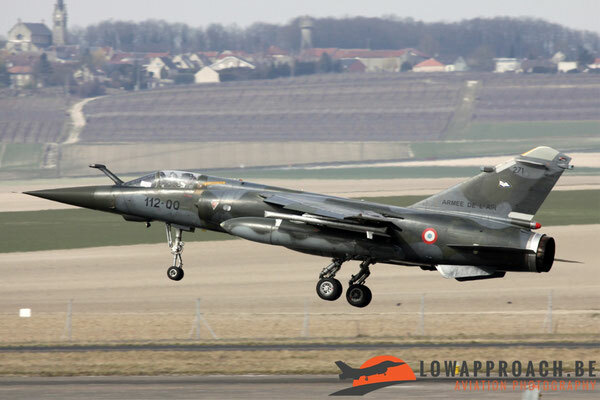 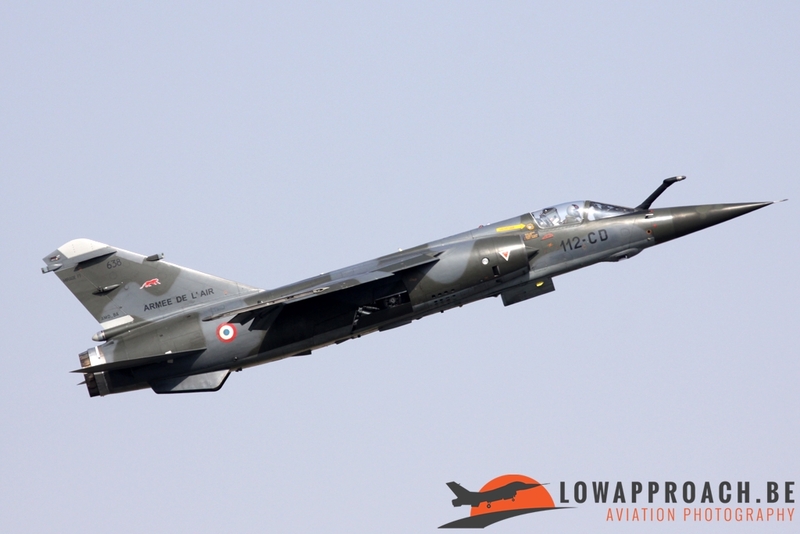 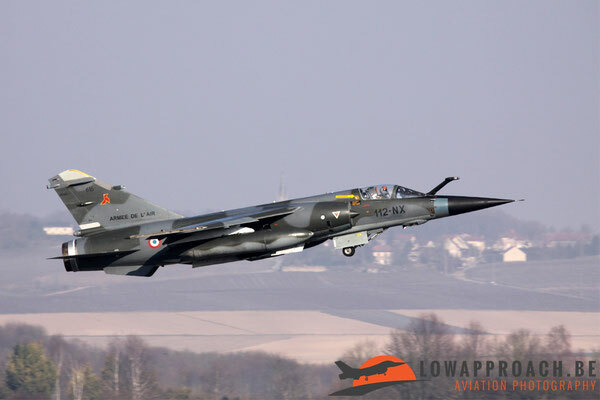 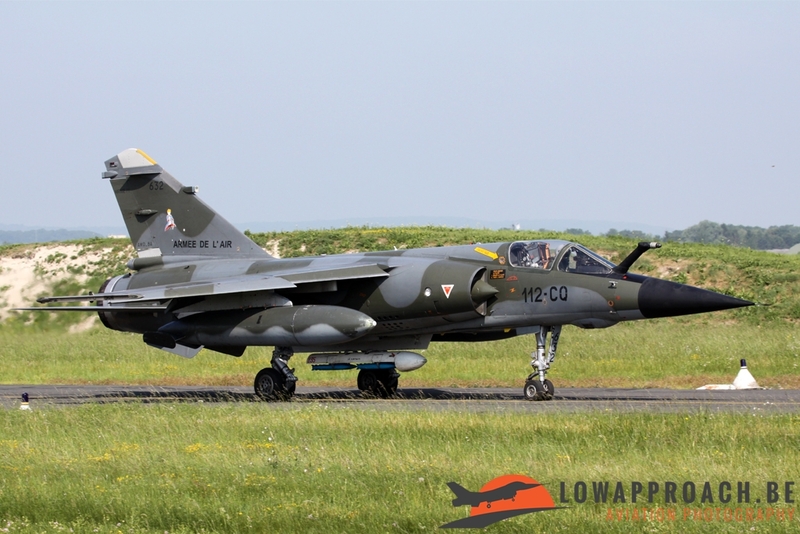 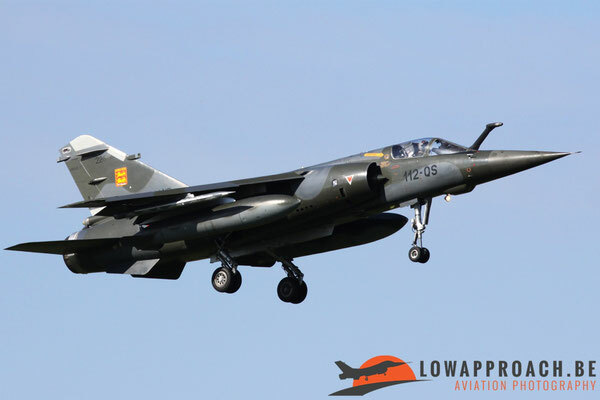 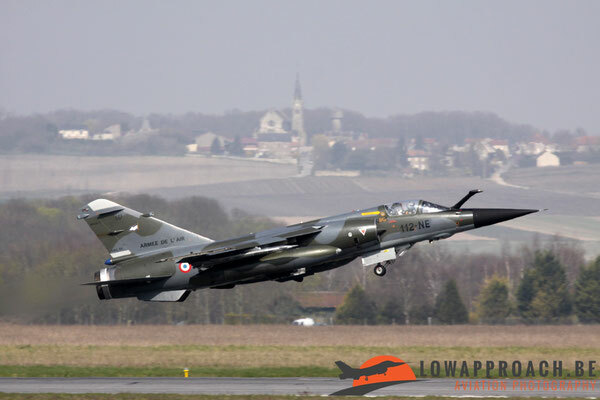 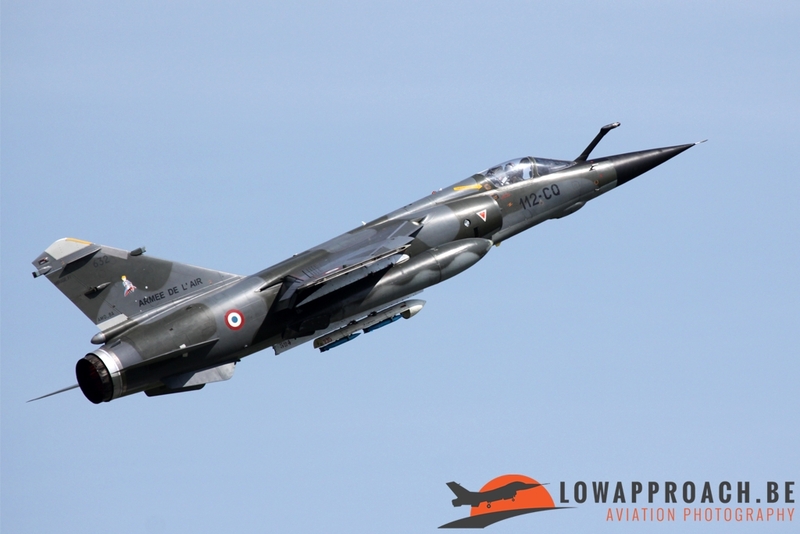 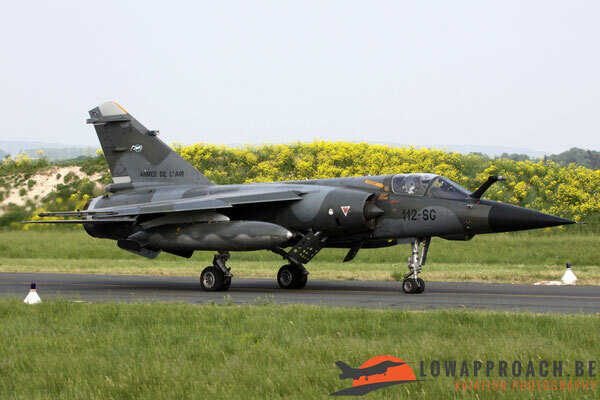 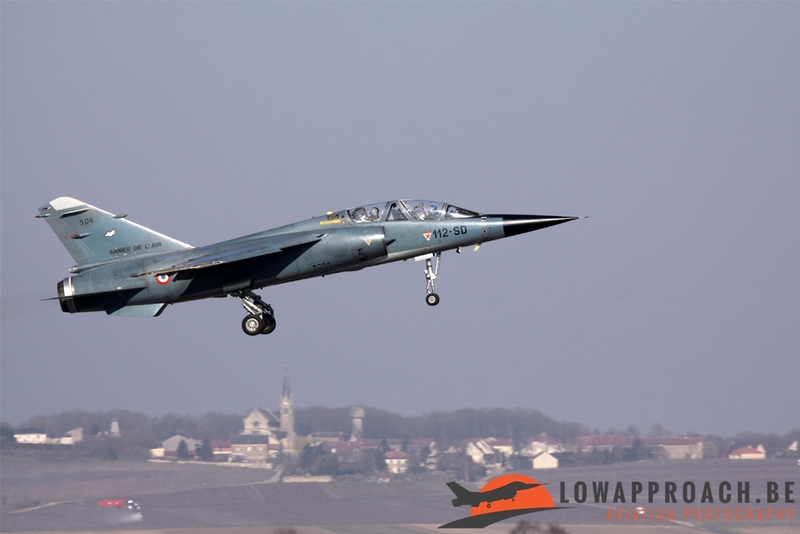 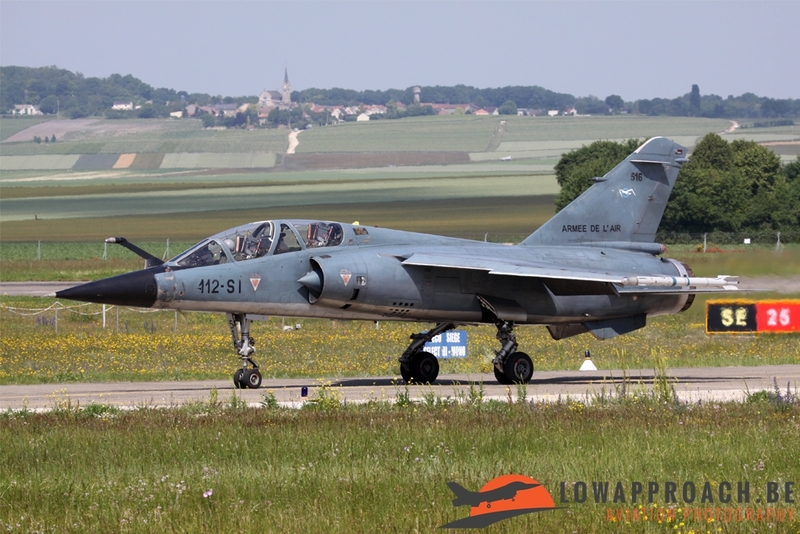 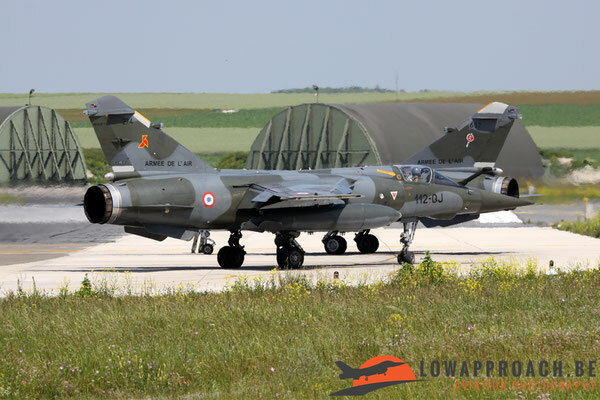 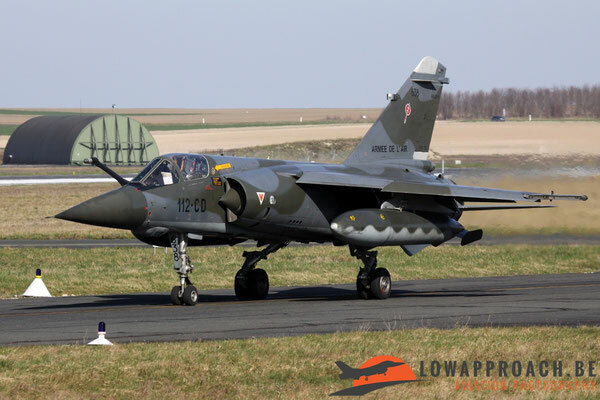 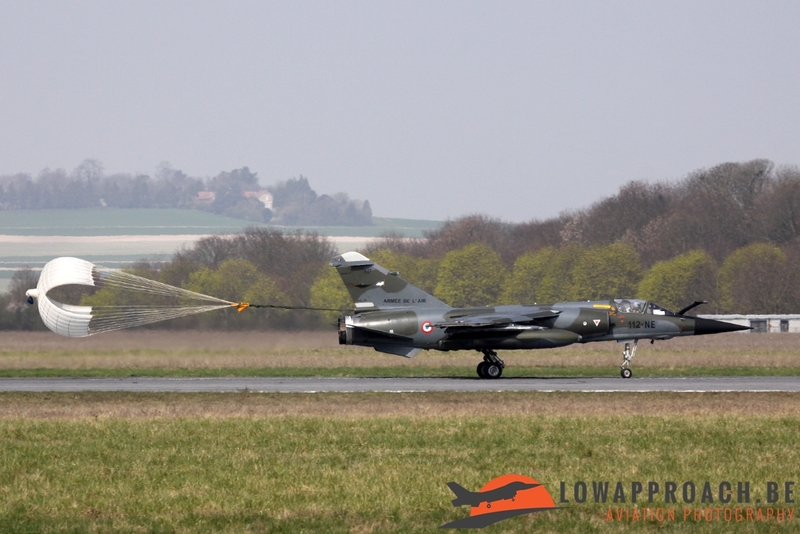 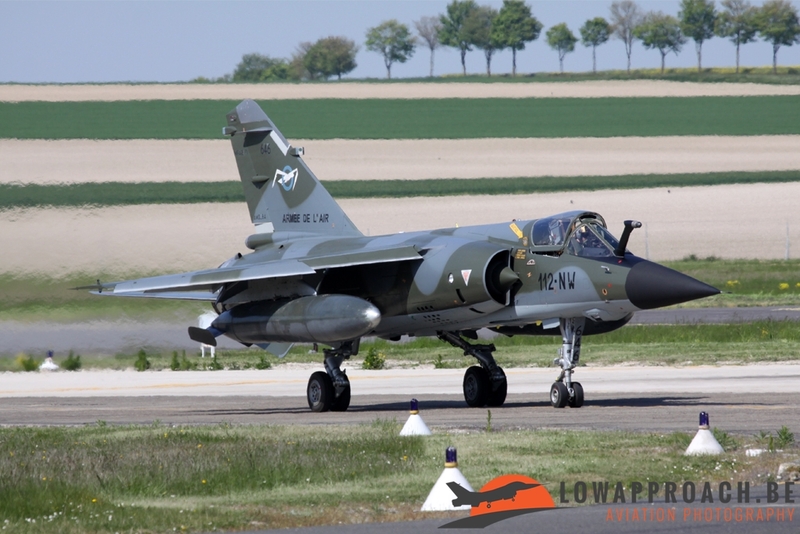 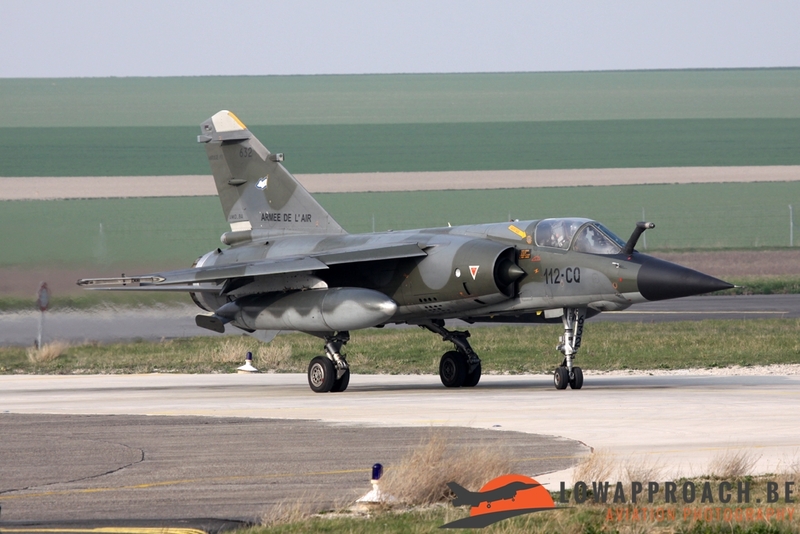 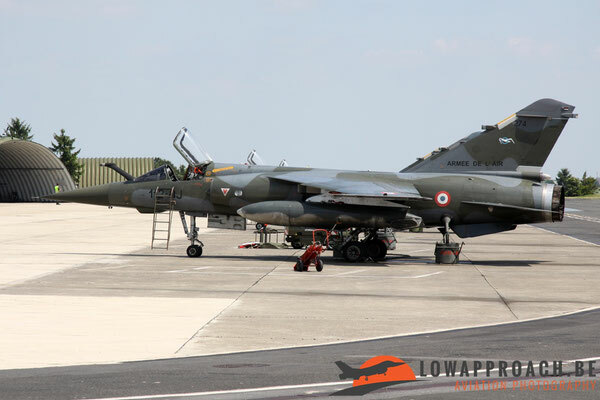 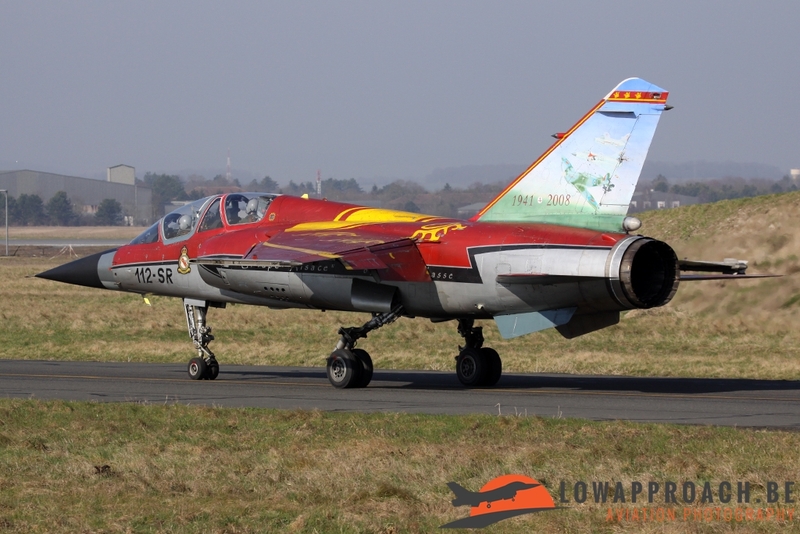 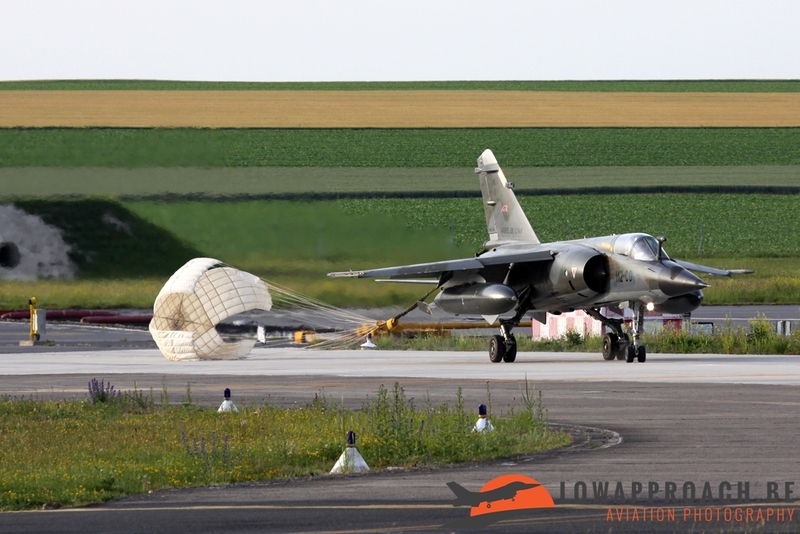 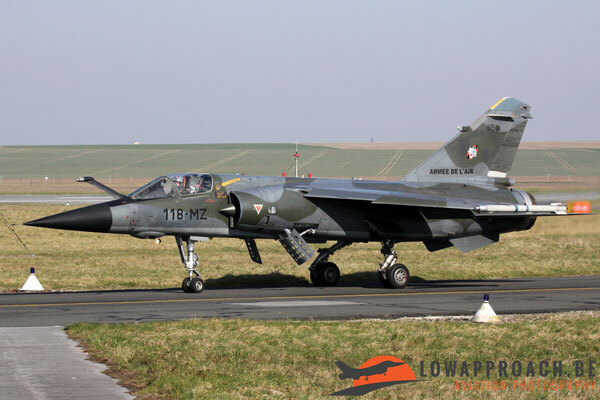 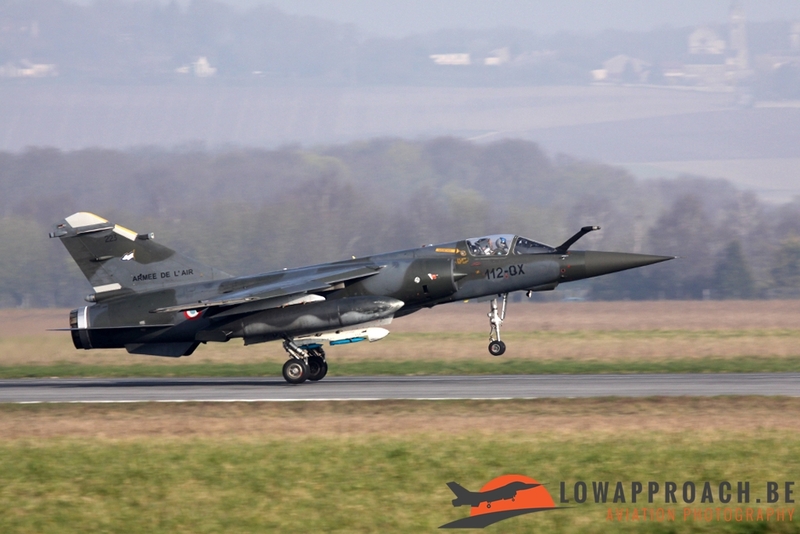 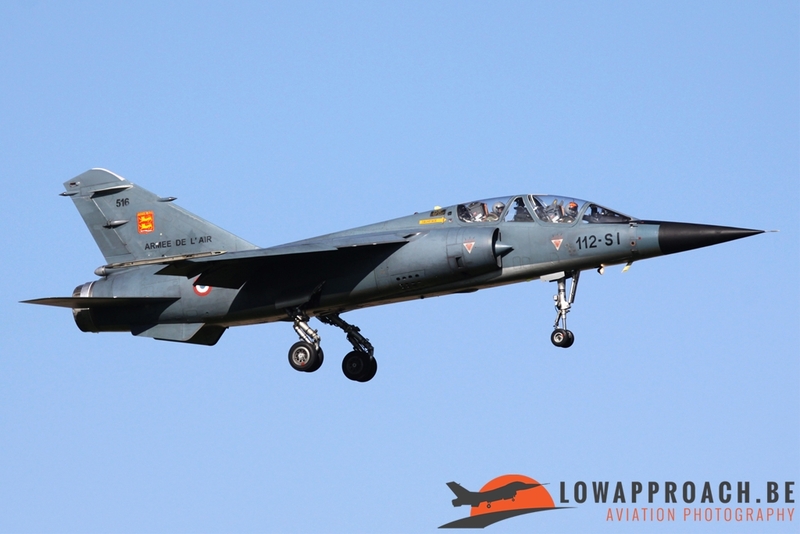 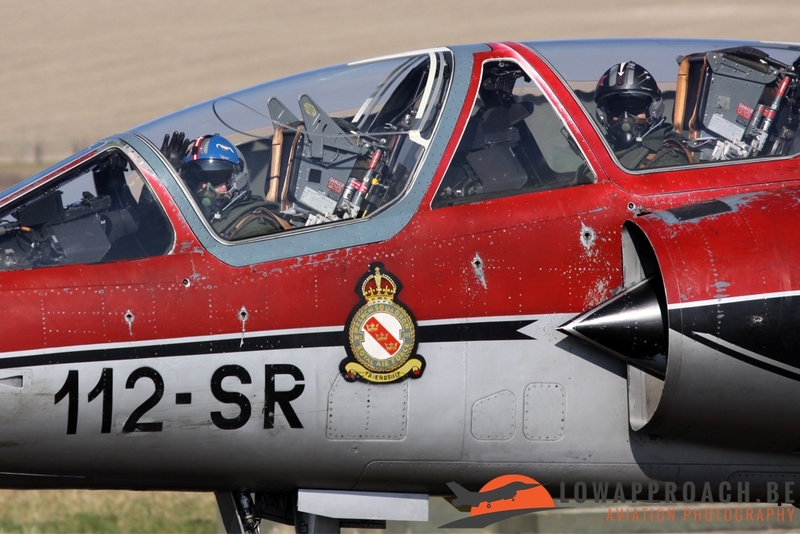 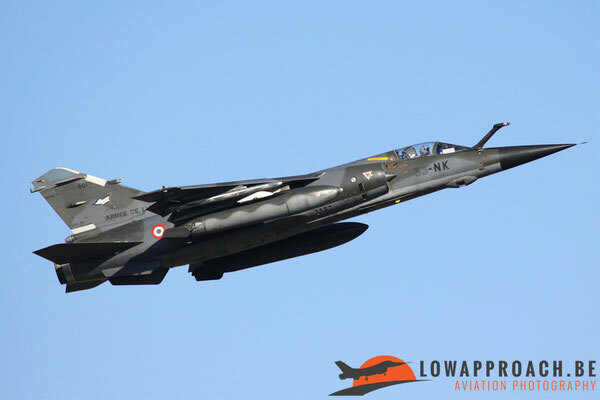 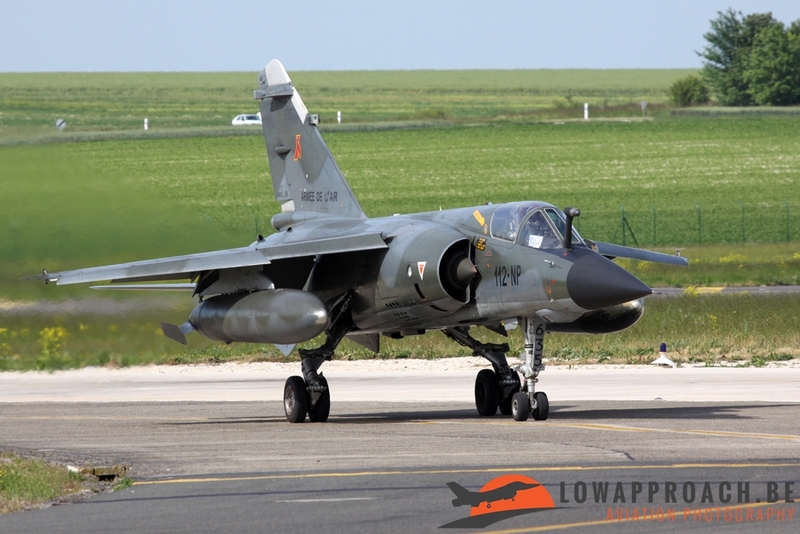 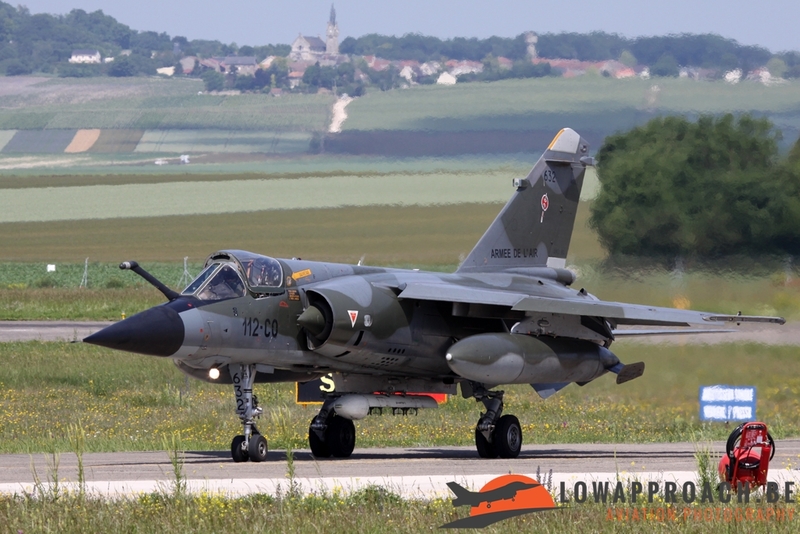 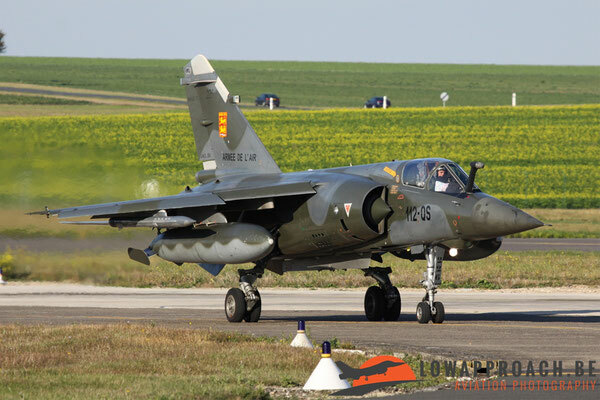 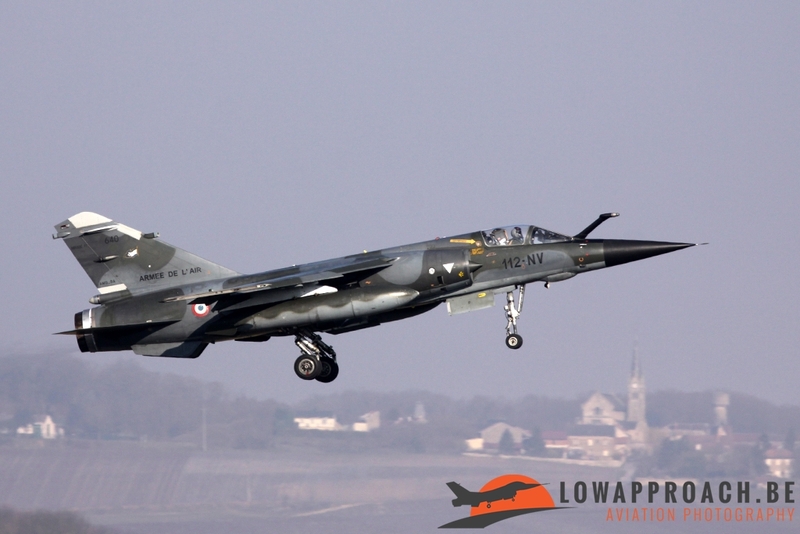 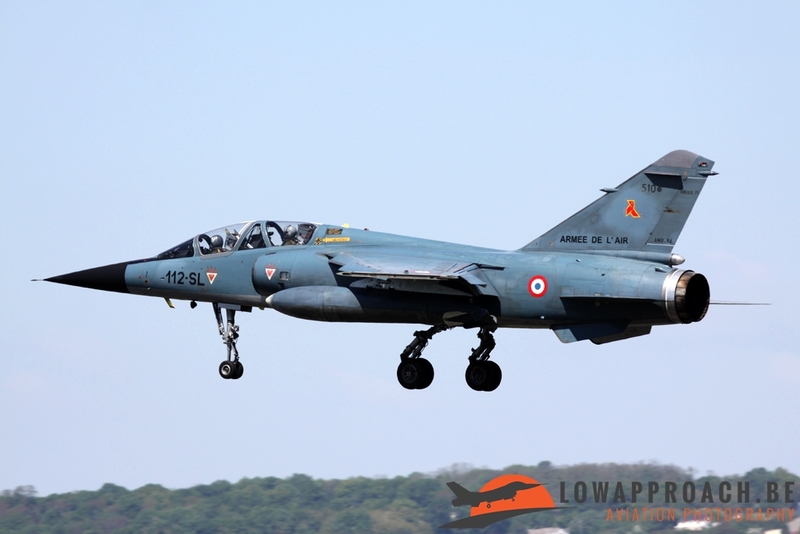 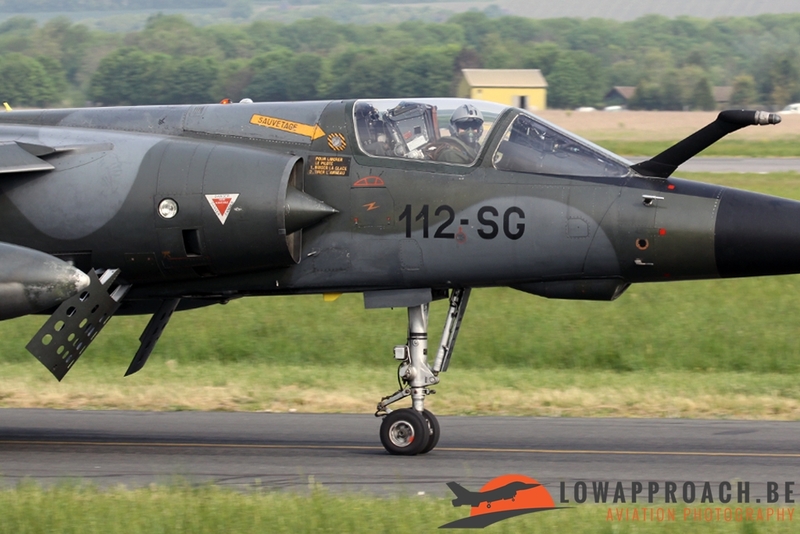 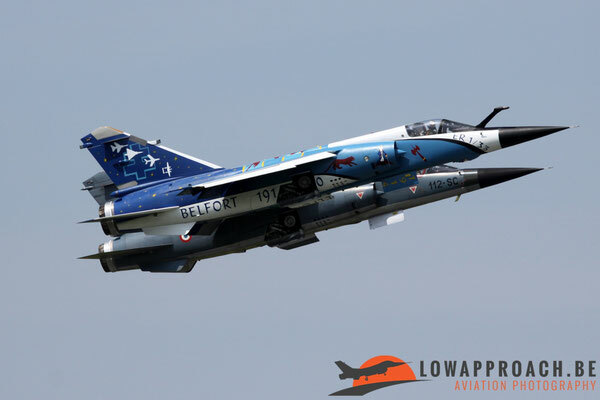 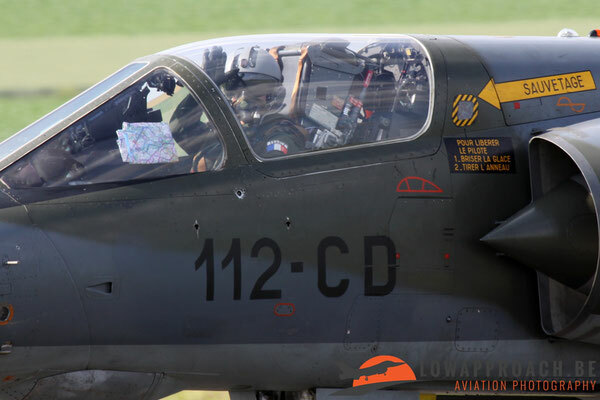 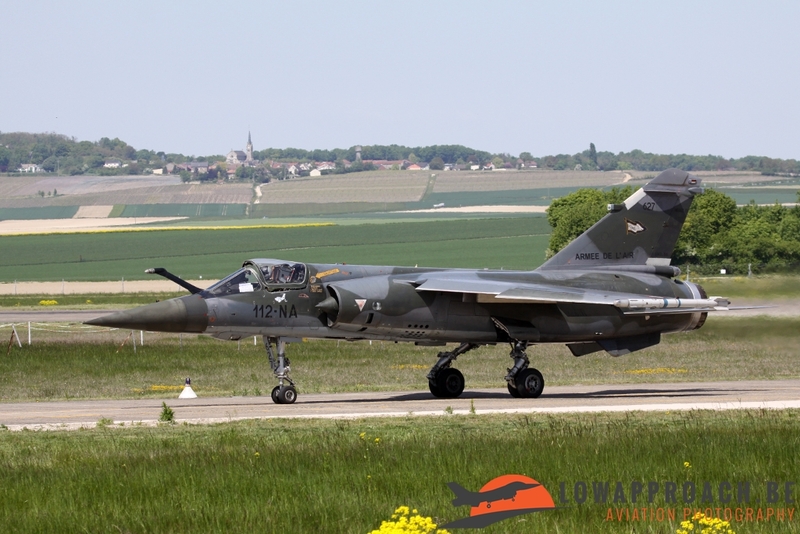 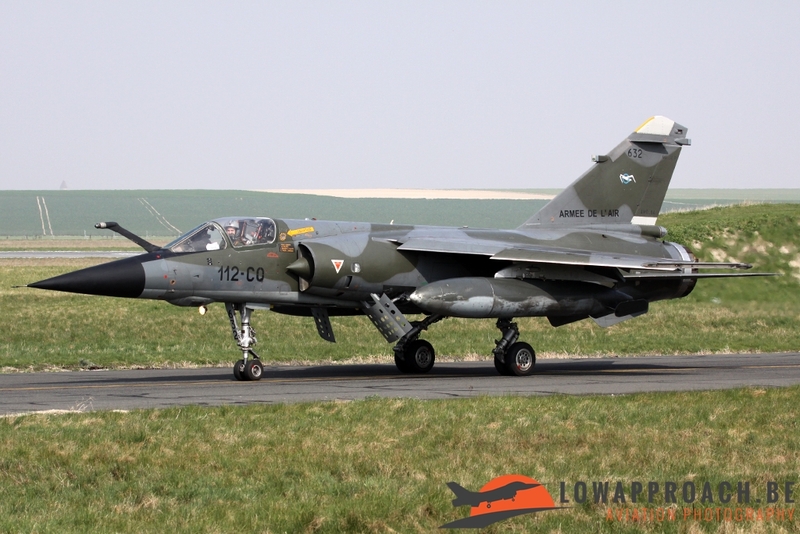 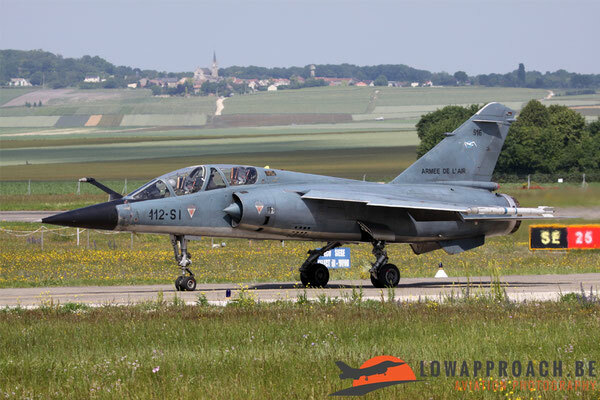 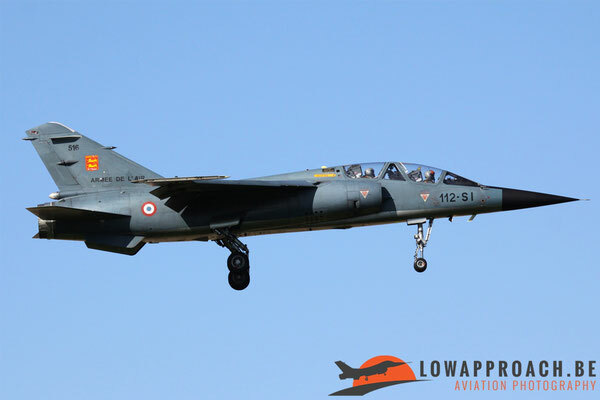 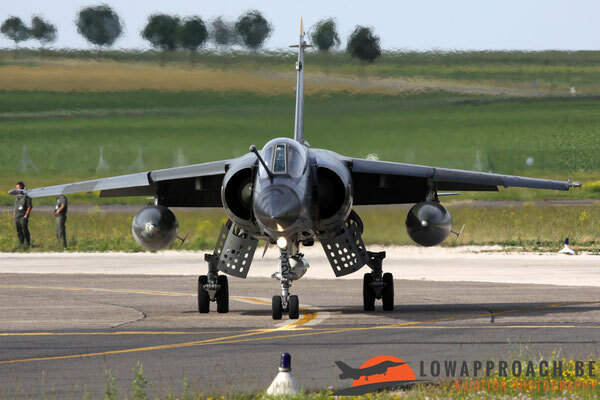 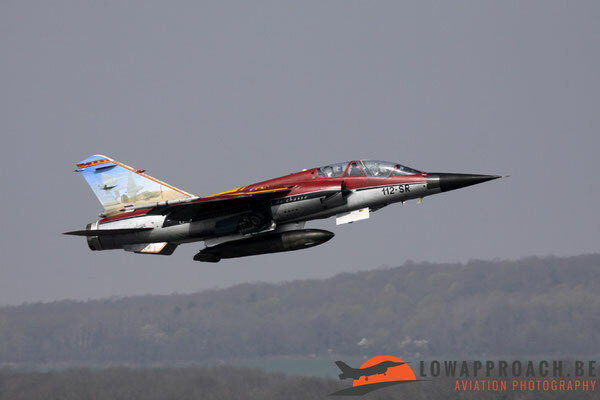 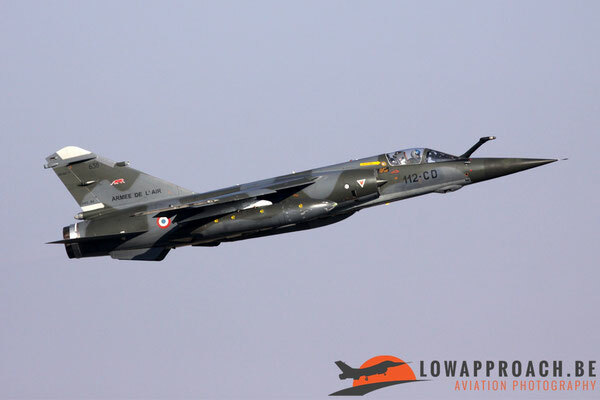 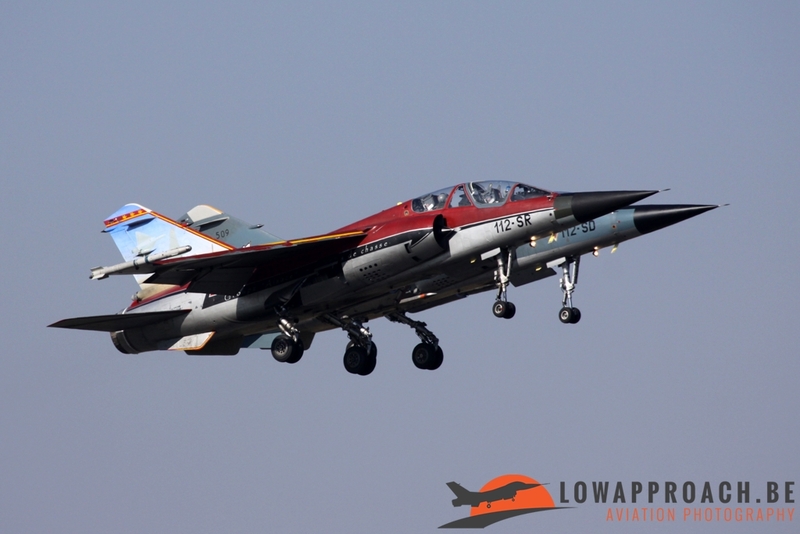 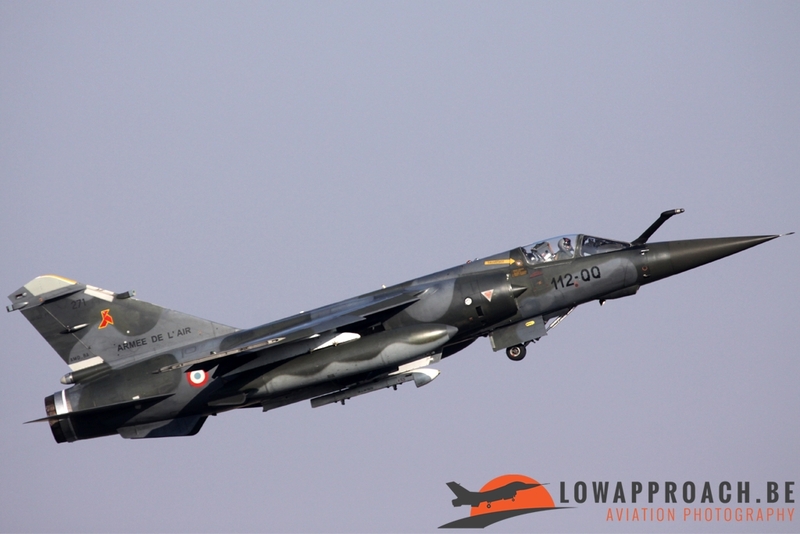 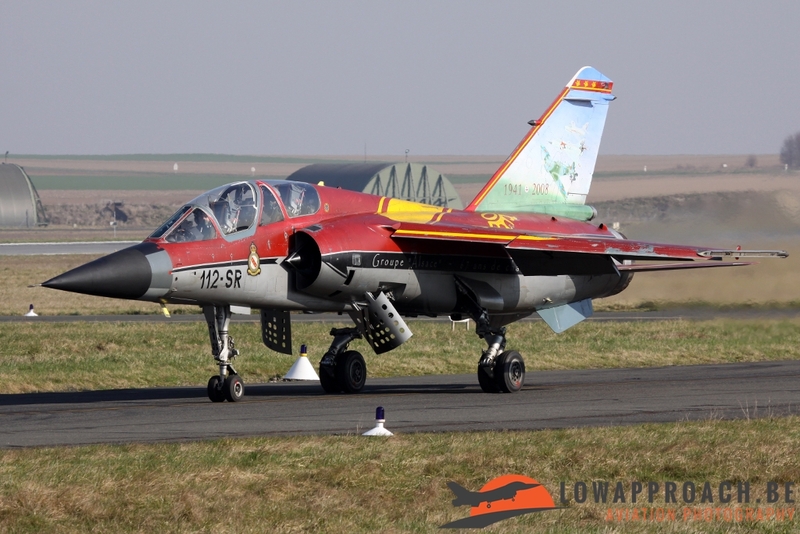 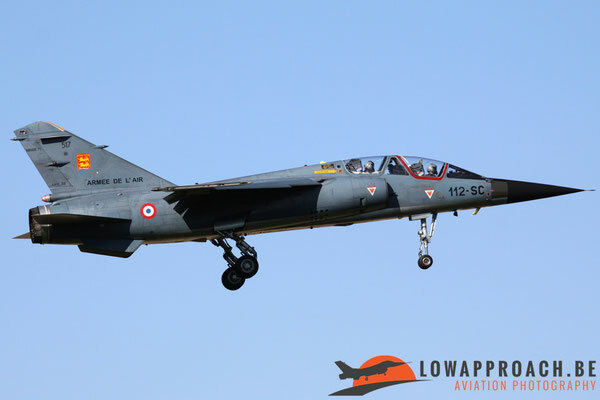 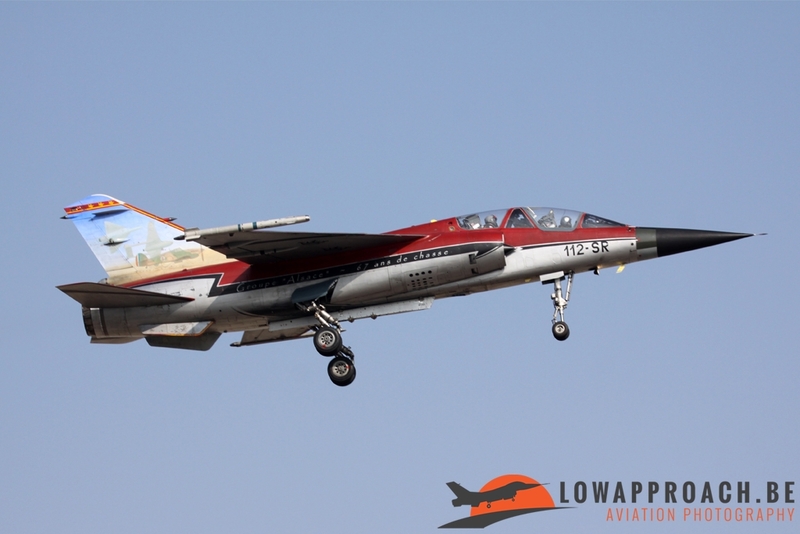 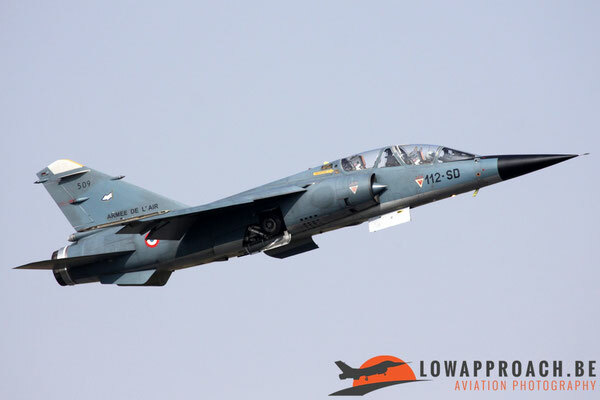 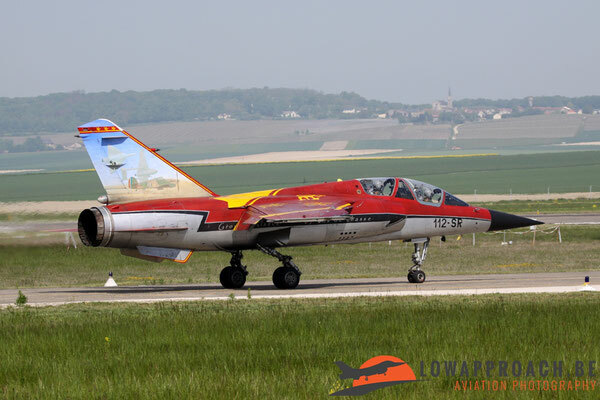 More and more spotters visited the airbase before the flying activity ended on July 20, 2011 when the last Mirage F-1CR with code 112-CT 620, which stayed behind on July 14 with minor technical problems, departed at Reims-Champagne. 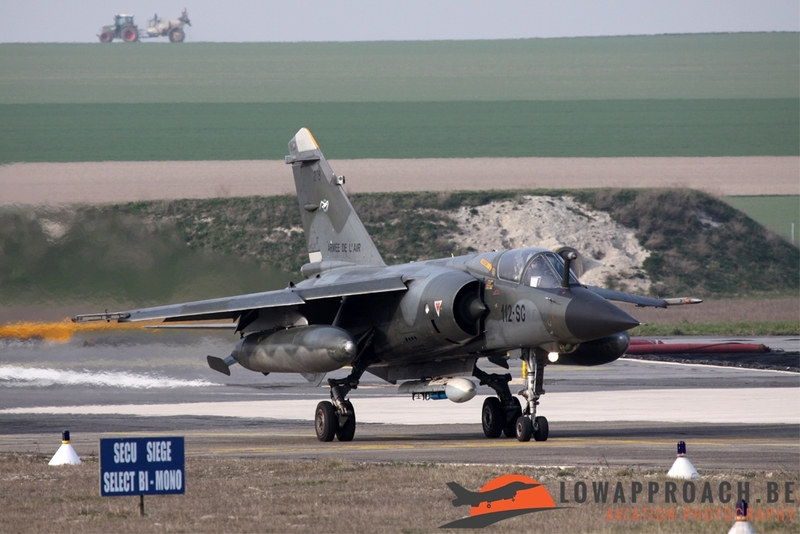 With chalk, aircrew wrote on the Mirage F-1CR with code 112-CT ‘C’est Terminé, Adieux’ le 20/07/2011, signifying the closure of the airbase on the short term. 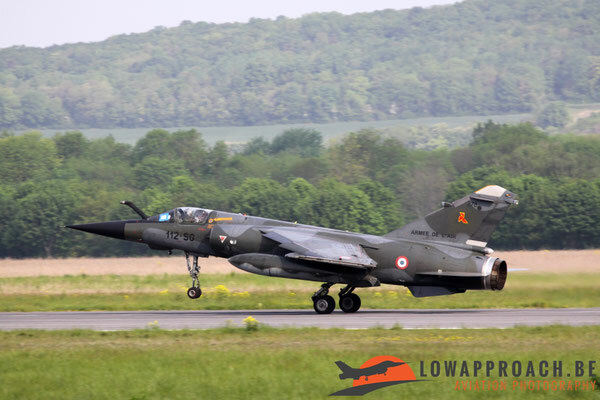 With that departure one of the best spotters friendliest airbases in France, where we could take pictures from several points along the taxiway, runway or landing disappeared and is history forever. 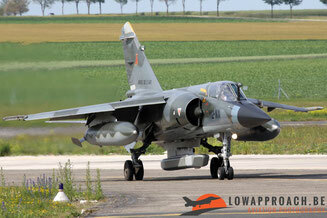 Nowadays only farmers use this abandoned airbase. Only a A400 Atlas will be named, probably in 2018 ‘ville de Reims’ to remember this great airbase. Source: website Armée de l’Air.